Let’s talk about EMF Detectors! 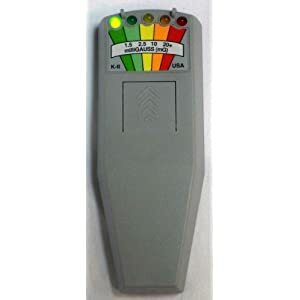 I’ve been getting a few emails about EMF detectors.. mainly what to buy, etc. I thought I’d talk about this today. 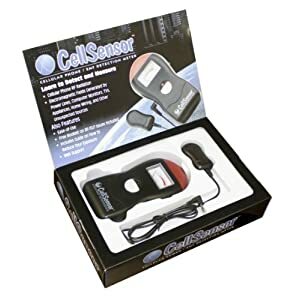 I personally own two EMF detectors – KII Meter and the 7021 Cell Sensor EMF Detection Meter. I’ll talk a little about what I own, and the other detector that my Montana Ghost Hunting group member has. Let’s first talk about the KII Meter. I purchased the KII for two purposes. The first purpose is to isolate and locate consistent (or non-consistent) spikes in the EMF field. I use it for base readings prior to an investigation. The second purpose is to use the KII as a call-and-response tool for potential communication. Let’s talk about the good and bad here. The default KII has a momentary switch, meaning as soon as you let go of the switch the KII is off. You can address this by modifying the KII with a toggle switch, use a coin or another item to lock the button down. I personally think the KII is a great tool, and any investigation should have one in the equipment box. One thing to be weary about, when the unit is activated it will flicker – especially if you do not modify it. The other issue is that it is extremely sensitive to two-way radios and cell phones. The KII should be away from any communication device. It can also register ‘hits’ with vibration, so don’t shake it or bump a table if it’s laying on it. Knowing about false positives is important for good evidence. I mentioned call-and-response. If you’ve modified your KII you can leave it on away from you and request that spirits interact or walk by the KII to possibly trigger a result. I personally have the KII out during EVP sessions, but have seen this behavior.. yet. Actually, my son has this unit. It’s the cheapest EMF meter you can get. It does work. It’s not too sensitive but could be used for high spikes on EMF. It also has a sensor and trigger which could be used as EMF traps. On one investigation (not using my son’s but another team member) we were able to use this as a EMF trap while investigating another room. The EMF detector will have a audible tone when EMF spikes occur. 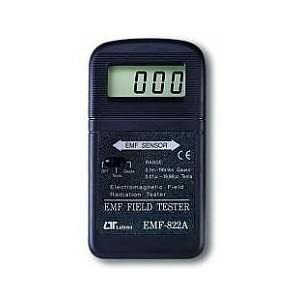 This is a great EMF Meter, and again, another device that should be in the equipment box. Unlike the KII it will give an exact measurement of EMF in the area. The KII provides a ‘range’ and will indicate that range via lights (0-1.3 milligaus will be one light). But let’s say we want to know if the mG is .25, then you’ll need a unit like this. It is accurate and is very useful for getting precise base levels of a room prior to investigation. The draw backs of this unit, no visual indication besides the LCD display of change. Meaning, no visual lights, or audible sounds for spikes. As you can see all of these detectors have pros and cons. There really isn’t a ‘best’ but I would recommend getting them all for your team or solo investigations. Personally, you can never have too many EMF meters. It’s a good entry level tool for beginning investigators and it’s always a bummer when you don’t have one in a location when you need it (ie: the other team member has it in the other room, etc).